Keith Moore has been the Archeological Media Lab‘s most generous donor and a consistent contributor to a series of guest blog posts that I’m calling “a life in computing” on the history of computing from the perspective of folks who have actually worked in the computer industry since the 1970s. Here he touches on his life with the Apple Mac and the line of Apple II computers. Thank you Keith for your posts! 26 years ago. The spring of 1985. A long time ago for some, just back around the bend for others, I was a hobbyist/developer for Texas Instruments 99/4 computers for a number of years when I saw the advertisement that may well be the most famous ever in history. I had only been turned-on to the Apple family of computer and occasionally helped folks with their Apple II’s. Up to that point, I really thought that the Apple computers (Apple II mostly), while way more popular, were inferior to the TI. I still feel that way (16-bit versus 8-bit, color and sound built-in, and etcetera). However, I had seen computers that used more advanced graphics and user interfaces where I worked using Plato training systems. Like I said in a prior post, I had an interest in these large and clumsy big vector graphics screens and clunky keypads. And some of these systems were responsible for my “distractibility” in college. But in 1984, it was exciting to see Apple take an idea from the Palo Alto Research Center and turn it into something that was obviously a whole new approach to home computing. Their advertising campaign turned out to be brilliant because it exposed the computer to folks who had a little bit of money (as opposed to geeks like me). 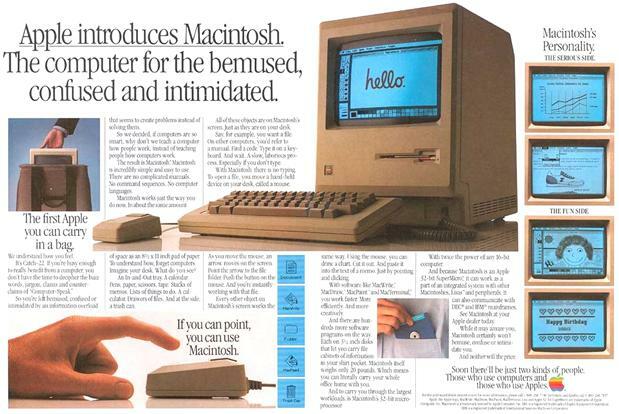 The Mac, as it was called, was pricey compared to the computer pricing war that went on in the mid 1980’s. TI was basically killed-off in the low-end price war that killed almost all of the early companies. It probably remains for historians and business market analysis as to why most of those companies died off. But it is my opinion that the low-end computer market could not sustain the loss-leader distribution model that almost all companies took on at that time just to get name and market saturation. By the time the IBM clones were out (thanks to Compaq and others to follow) the market had already moved a little bit higher in price. One last note on the amazing 1984 ad and its impact and analysis over the years: recently, it was reported that Apple almost did not run the ad. An article in PC Magazine reported that the Apple board of directors didn’t want to run it. It is probably not too surprising that I was a good target for this little beast. I had just seen the Blade Runner movie and loved it and I am a big fan of 1984 (Orwell) and Metropolis (the movie). As I said, I was not exactly a rich little nerd. I was working full time as I had since college (see my prior post about Vetrex). 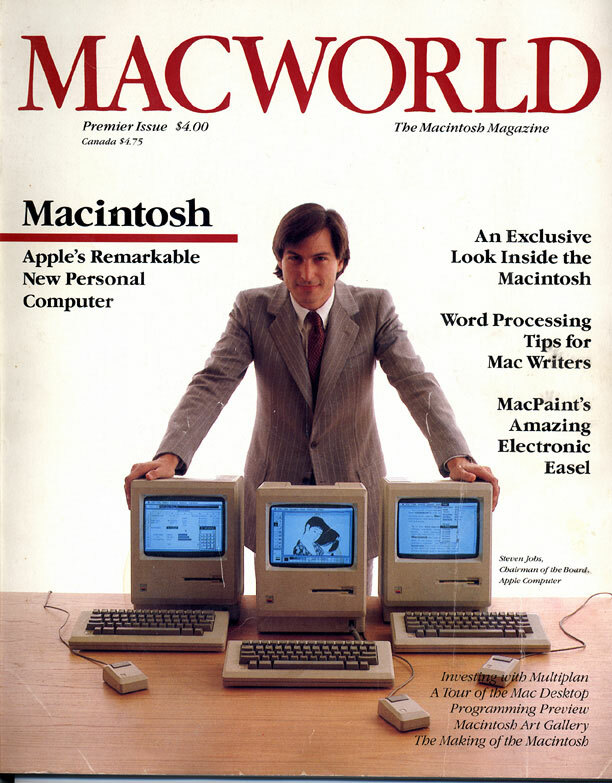 I read about the device and bought copies of MacWorld Issues 1-4. I thought there was no chance of getting one at a price tag the was around $2500 (my human memory may, or may not be right on this). But, it just so happened that I was given access to an employee discount (a deal that only lasted a few months). I suspect that part of this promotion was because Apple was going after the business and education market much more than most people realize now as they look back at all of the strife for home computing markets that was to follow into the 1990’s. 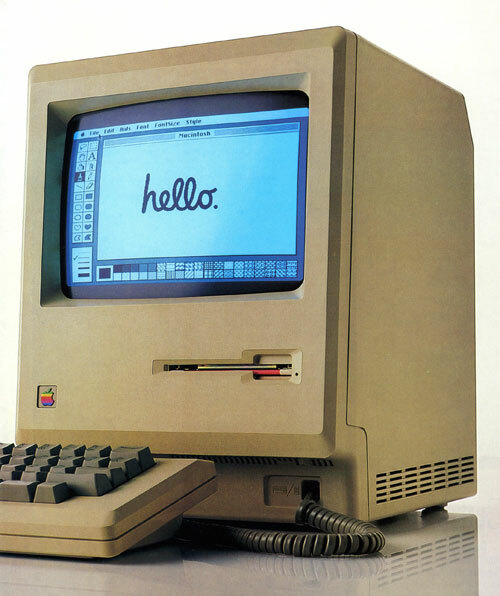 At any rate, I saved-up my nickels and bought a Macintosh 512 (Fat Mac) with an external disk drive for about $2200 at that time. It was quite a deal but way more than I could afford. Motorola 68000 8MHz CPU with the newer ROM software. I am cheating a bit by not mentioning the Lisa Computer which preceded this computer by well over a year and introduced these features (like the display, the mouse, processor, and etcetera). 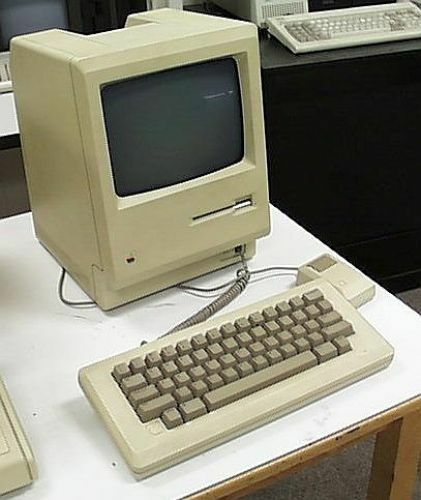 However, the repackaging of the same basic computer, and the successful software and marketing release made Mac viable whereas the Lisa failed because it was too expensive and lacked the software development enthusiasm that is necessary to succeed in the market. This is still true today. Look at the new generation of personal computers – hand-held phones. iPhone and Android prevail because the development community has embraced these operating environments for development of application software. If not for that, the devices wane and struggle for market viability. First Macintoshes took the chance on two/three huge new technologies: the 3.5” disk and the one-button mouse. 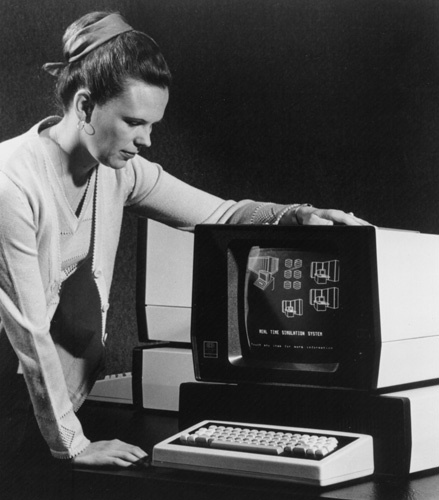 Nearly everyone used keyboards and sometimes joysticks to control computers. Even Apple II computers had no mouse accessory. It was an all new interface to everyone except some who used the early PARC systems and the Lisa from Apple. The 3.5 drive turned out to be a standard all the way until the USB drive took its place in the the late 1990’s! It was a much longer lasting non-volatile memory device than its predecessors (the 8.5” and 5.25” floppy disks). This, combined with the strict software graphical User Interface (GUI) design guidelines, helped make Apple Mac very easy to learn to use and transfer interface skills from one software solution to another without a complete re-learn. With prior computer operating systems (especially personal computers), the interface was inconsistent from one software package to the next – even on the same computer. Microsoft eventually had to buy/build something that could copy these similar capabilities. But the user interface consistency took years to become comparable to the Apple software interface consistency. I could write for hours about the things I did with this machine: music, rotisserie baseball drafting and scoring, work, online software development and playing (CompuServe), and on and on. But I longed for a device with a hard drive. Eventually I got a used Mac SE but I kept using the Mac 512 with an aftermarket SCSI interface that I installed myself (along with a daughter card memory upgrade). It just seemed to go on and on. The machine that I donated is that very machine from February of 1985, the same year that we began our League of Mythical Batsmen. I never thought the baseball league would last as long as it did; nor did I expect that I’d be writing about a computer from 1985 in 2011!